Which shoe for shorereef is better,spike or felt? In this web site,I have insisted that anglers on shorereef should wear shoes for shorereef. 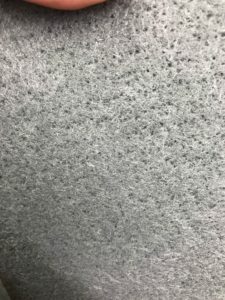 This article is about that shoes for shorereef. They have advantages and disadvantages. 5. Which type should you select? 6.3. Maintain it with a dehumidifying agent. There are about 3 types of shoe sole,spike,felt and felt spike. I explain each them below. 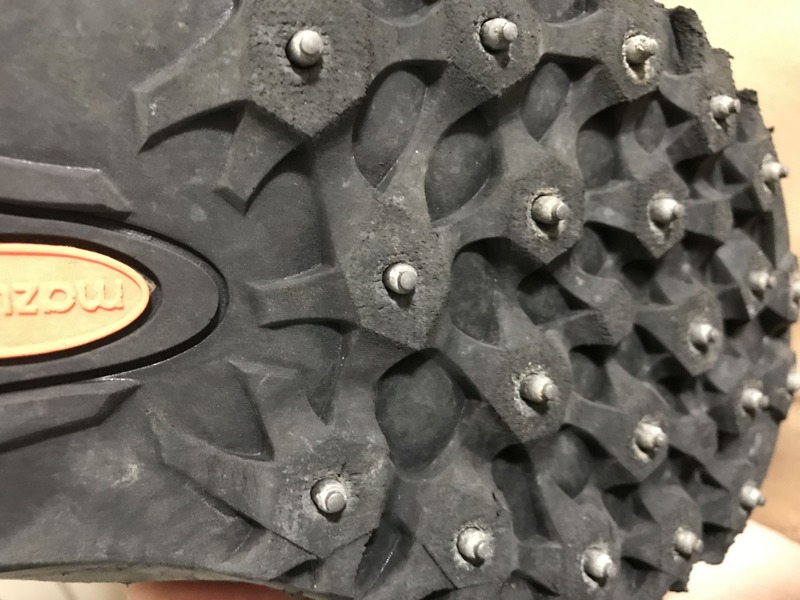 A spike shoes is shoes for shorereef that many spikes stand out from gum sole. but caracteristics of spike shoes is that contact area is very small and grip power is very strong. So,on rugged or weeded or wet shore reef ,you can walk safety by the spikes grip power. Put another way,on very smooth shore reef,spikes can not catch hold of shore reef .you fall down shore reef. spikeshoes is suit rugged shore reef well,but is not suit smooth shore reef or embankment or boulder beach. Pins usualy is made from stainless. Stainless pins is strong ,but there is more suit material. I recommend shoes with tungsten steel pin. Tungsten steel resistant to high surface pressure and has strong grip power. In shoes for shore reef made in Japan,I think that this shoes is best. 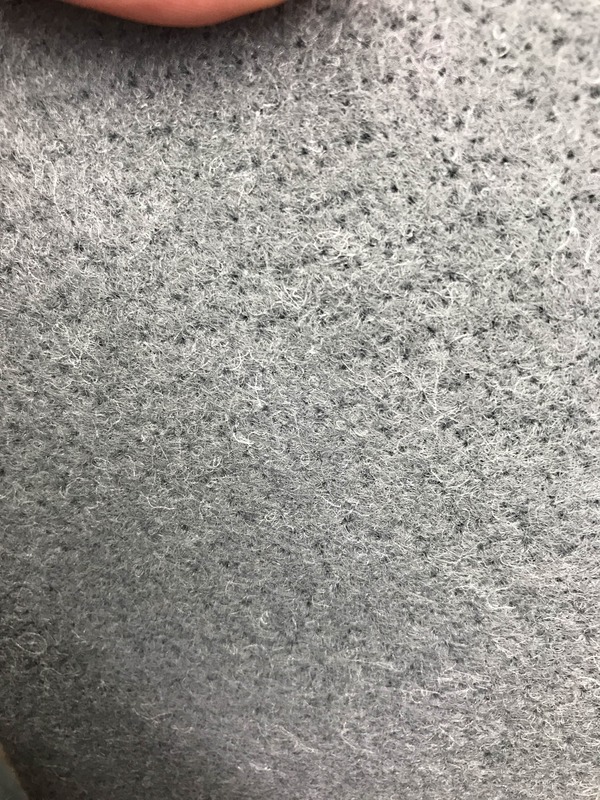 A felt shoes is shoes for shore reef that has felt on their sole. Because felt has elasticity,you can walk on smooth shore reef or embankment. Felt shoes don’t make you feel tired walking on shore reef by that elasticity. Felt shoes slip on rugged shore or wet shore. Felt shoes is suit smooth shore or embankment,but is not suit rugged shore or wet shore. 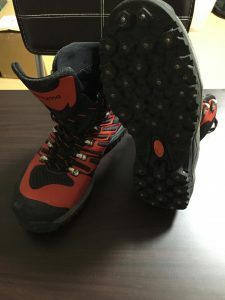 Some felt shoes have excangeable sole by Shimano. 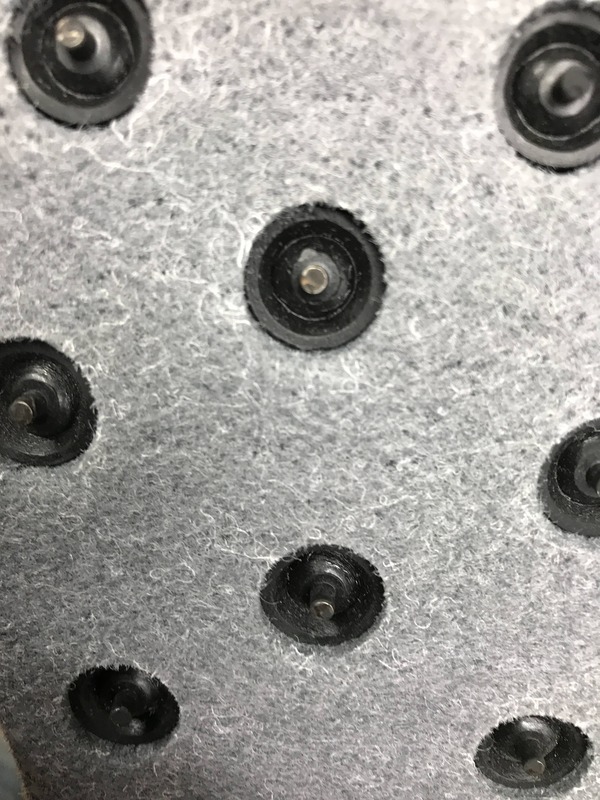 Felt spike or pin felt has characteristics of middle between spike shoes and felt shoes. This type is often sald in fishing store these days,but I think that this type sit on the fence. Which type should you select? I explain characteristics of each type.After all,which type should you select? You should select spike shoes. On embankment or boulder beach,you can fishing with normal shoes. When you are concerned tungsten pin spike shoes,visit below page. When you buy expensive shoes for shore reef,take care of this. When you take care of shoes for shore reef properly,you can use this for a long period. Shoes for shore reef is made strongly,but you should maintain it is removed salt. In order to use it without bad smell,take care of it. It is most important that wash it with water closely to remove salt and bad smell. If you dry up it with much water drain,It might get mouldy. Let the water drain off with newspaper etc..
Because a gum deteriorate by sunlight, dry it in shade. Maintain it with a dehumidifying agent. Copper or newspaper may take the place of dehumidifying agent. If you can do it,put dehumidifying agent in shoes and maintain it in the place with low humidity. I recommend dehumidifying agent picture below. It is for snowboading,but it suit fishing shoes. If you can’t decide to buy which type shoes,you should buy adjacent shoes. And yet,If you can’t decide,you should buy spike shoes. One way or other,whatever shoes you wear,you should pay attention not to turn over.